Dogs are considered a man’s best friend and are one of the most domesticated animals in history. There are around 300 recognized dog breeds with a lot of nuances that differentiate them. 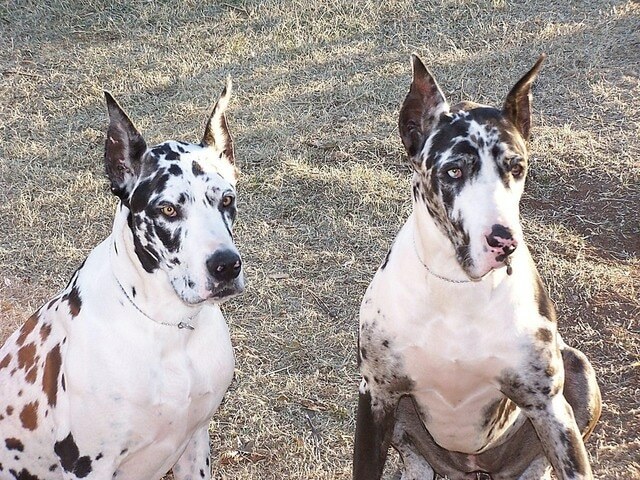 One interesting characteristic of these magnificent canines is their size, which can range from the smallest Chihuahuas to the largest Great Danes. The Great Dane is the largest dog breed out there right now. It is also known as Deutsche Dogge or German Mastiff in German and developed from the Mastiff dog type. It is a giant with elegance and nobility, blessed with a beautiful stride and balance. This sweet and easygoing breed is name “Apollo of Dogs.” Given its stature, it can be difficult to handle for novice owners. It is also sensitive to being left alone. This breed is easy to train and has a very athletic, muscular build. Though it is easy to train, it is not very energetic and can be timid sometimes. The average Great Dane stands between 25 to 30 inches in height. However, the record for the largest dog in the world is a Great Dane standing tall at 44 inches. Its average lifespan is 8 to 10 years, and its weight range is between 100 and 200 lbs. with average, healthy Great Danes weighing around 130 lbs. Luckily, the breed does not eat as much as its size might make you think. The Neapolitan Mastiff is an ancient, giant dog breed that goes as far back as the beginning of the Bronze Age, when it was used as a guard dog. 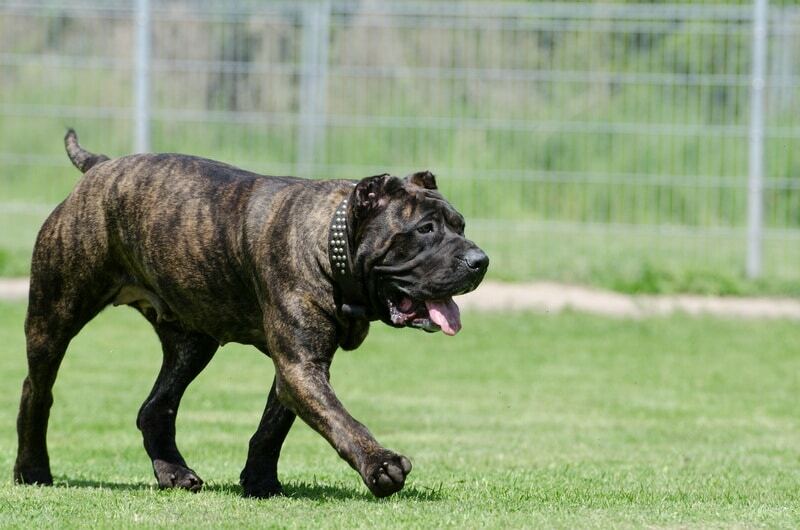 The Mastiff stands out from other dogs with a large body, loose skin and long hair all over its body. It can sometimes come off as intimidating and does give strangers long stares, but it is far from aggressive. It is gentle, caring and loving in nature. However, given the situation, it will guard its owner or their property fiercely. Due to its nature, it likes to play around in an open area frequently. However, it is timid as well, with most owners of the Mastiff reporting that their sofas are occupied by these canines all day. Like other large dogs, the Neapolitan Mastiff is not easy to handle, but due to its docile nature, it fits in very well with an apartment life and is not as outgoing and playful as other breeds. It can weigh from 120 to 200 lbs. and stands tall at 24 to 31 inches. 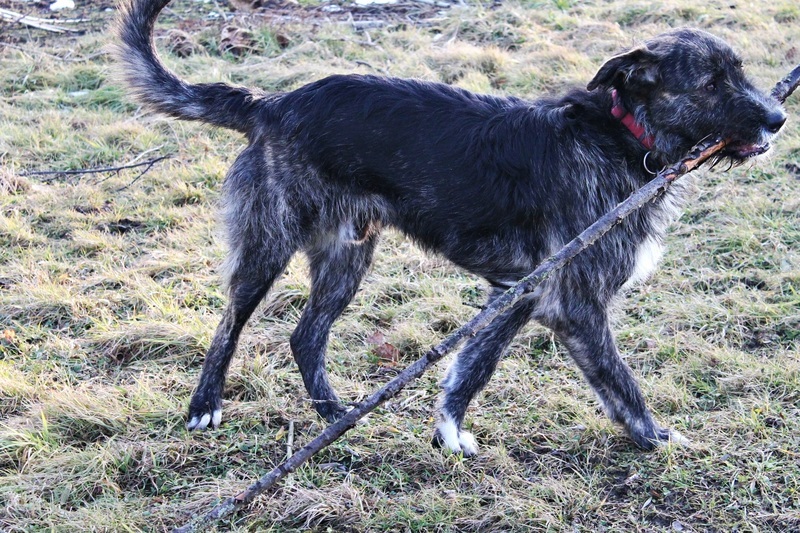 Scottish Deerhound, as its name suggests, was used to hunt down Scottish roe deer. These beasts were twice as large as the deer and due to their physical prowess, the dogs could easily overcome them. Due to this aggressive history, they still retain some of their predatory features with owners sometimes complaining about them being too active, alert and suspicious. 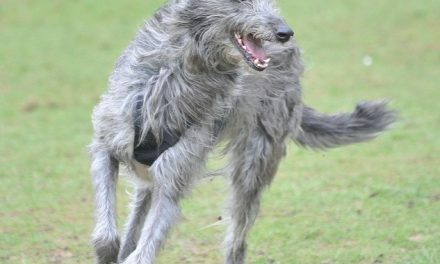 Since they were bred as fast runners, they do not weigh as much as the other large dogs, with weights ranging between 75 and 110 lbs. They do have an impressive height, standing tall at 30 to 32 inches. These fast runners live as long as 11 years. They are very athletic and need daily exercise with high intensity. Most owners have an open area for them to wander about throughout the day. Hence, these dogs also do not fit in well with the apartment life. As they are big and defensive, they also do not get along well with other dogs. These dogs are one of the most graceful breeds out there. 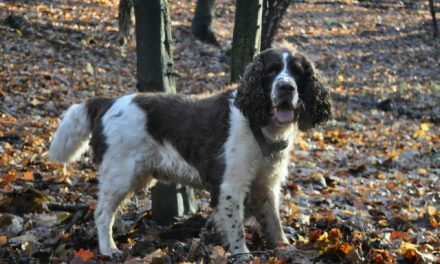 They are an ancient French breed and perhaps the oldest one to come from that region. Famous for being in several movies, they have a strong build and can weigh as much as 130 lbs. 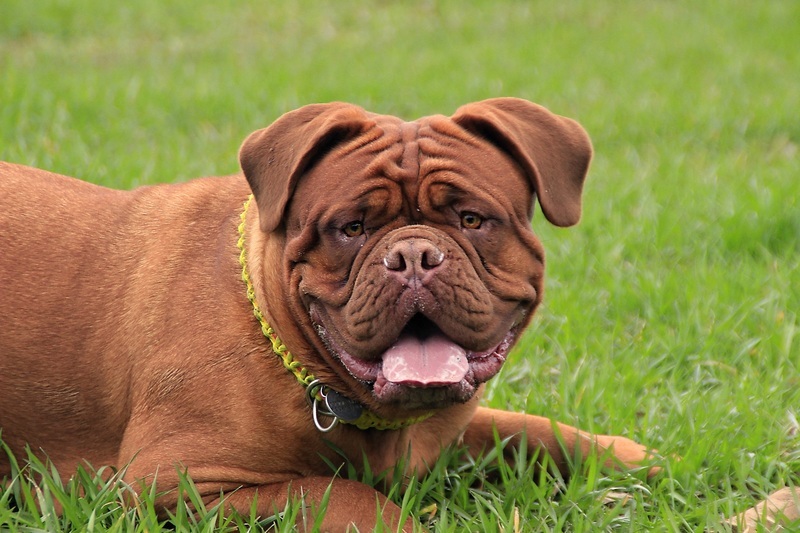 They are taller than most dog breeds, with the average Dogue de Bordeaux standing at 26 inches. One interesting fact about these beasts is that they have the largest heads among canines. 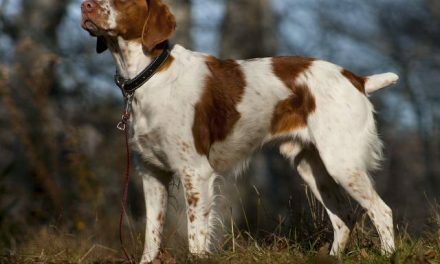 Since this breed’s nature makes it more oriented toward being a working dog, it makes for a great companion if trained properly. However, it is not the fastest learner and a lot of effort is needed to train it. While it can get very mellow when it is indoors, it is very active outdoors and needs daily exercise. Its strong build also makes it intimidating and less friendly toward other dogs. Compared to other large dogs, it has a lower lifespan of 5 to 8 years. 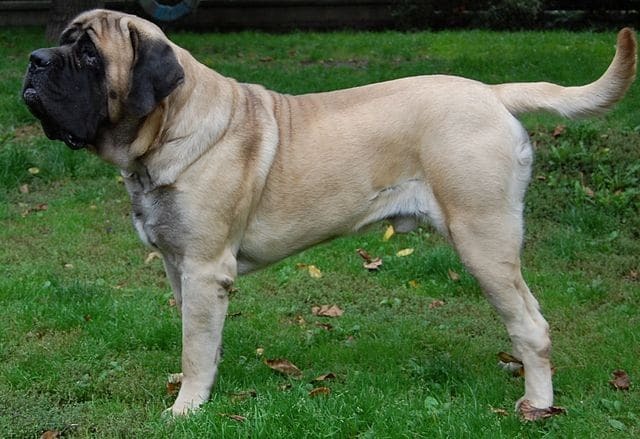 The English Mastiff came about from its ancestor Molossus, which was a very aggressive, widely used war dog 5000 years ago. While the English Mastiff is considerably docile, it can sometimes show its fierce side. For this reason, this pet is suitable for those who love both loyalty and fierceness in their canine companions. 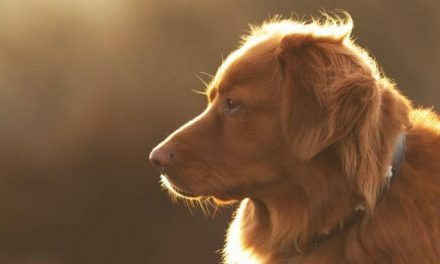 While it can be as playful as other dog breeds, it can grow up to be a quiet and mature dog. It grows as tall as 30 inches and weighs between 130 and 220 lbs. The dog recorded for being the heaviest at 383 lbs. in the Guinness Book of World Records is an English Mastiff. Due to its bulky physique and defensive nature, it makes for a great guard dog. Although it is known to have a short lifespan of 6-10 years, some Mastiffs have been known to live as long as 18 years. Contrary to what you might be expecting, the largest dogs are actually the friendliest and least aggressive breeds. However, that does not mean they make for easy pets. If you are willing to get one, make sure you can handle their size and have the appropriate space to take care of them.